Pear Stairs provides stair parts to the people of Essex. We are one of the UK’s leading staircase companies, with expertise in staircase design, manufacture and stair parts. 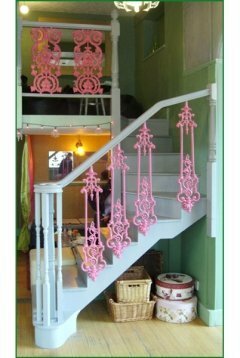 Stair-jazzle your stairway with our extensive range of stair parts. Our on-line shop has a vast array of staircase components, accessories and handrails in a multitude of materials, designs and finishes. If your home is in need of a revamp and your staircase is looking tired, but you don’t want to replace the whole thing, maybe it's time to glam up what you’ve got, and peruse our fabulous Essex stair parts. We can take Essex to the next level, literally. 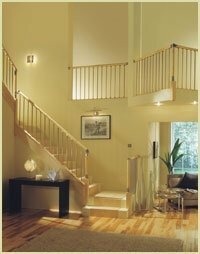 Pear Stairs is a UK based company, with a dedicated team providing the best staircases to the people of Essex. We pride ourselves on both products and service. Don’t know the names of your stair parts; can't tell a newel post from a balustrade? We can, and we are committed to helping you find exactly what you need. 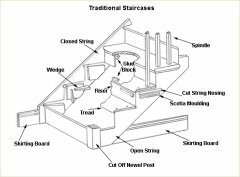 Our website has guides, glossaries and diagrams to help you understand which stair parts are right for you. You can also contact us, and one of our expert team will be happy to help you make the right choices. Help your home stand out from the crowd. Pear Stairs delivers stair parts direct to your door. Our range includes wood, metal and glass stair parts in an extensive assortment of designs, so you are sure to find multiple pieces which suit your tastes. Pear Stairs is transforming the homes of Essex and beyond with beautiful staircases that are sure to become a focal point. You’ll be looking for excuses to show off your beautiful home. Have the poshest stairs and stair parts in Essex and make all your friends jealous by ordering your stair parts from Pear Stairs.